Having worked in the HR recruitment industry for over twelve years, nothing pleases me more than placing candidates into their “dream jobs” and seeing candidates achieve their career goals. Over the years, I have witnessed some truly excellent HR graduates secure entry level HR Administration roles before quickly flourishing into HR Manager / Head of HR positions. The role of HR within organisations has changed significantly over the years with a bigger focus on stricter accountability, added value and return on investment. 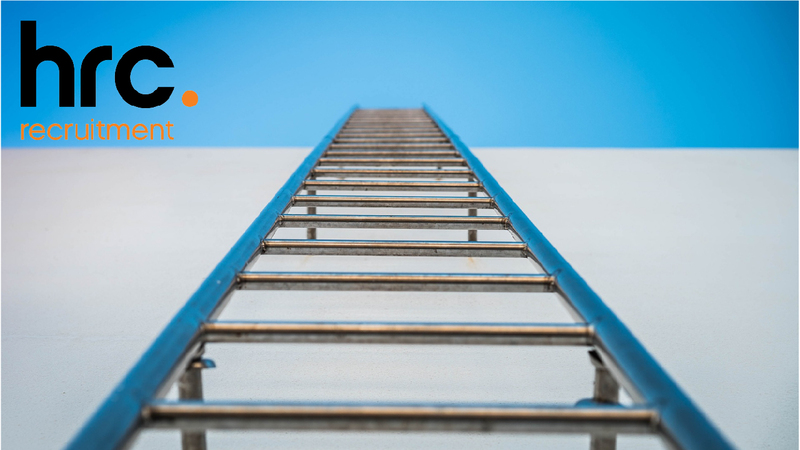 So, what does it take to be successful and climb the HR career ladder in today’s challenging business environment? Most HR roles are very varied and you can be pulled in many directions in the one day – from recruiting for a niche role in the business to attending a really complex disciplinary case which, in turn, requires a lot of energy. HR teams engage with everyone in the business and often need to have those “difficult conversations”. Having resilience in these situations will help you along the way and show that you are more than capable as HR professional of standing on your own two feet and making clear decisions without being phased. Know your HR career plan and be very clear on where you want to go in HR. There are a variety of options as you progress up the ladder – knowing what you want from the outset will help you stay focused on achieving your goals. When you are starting out in HR, my advice would be to try a few different industries as different companies and sectors will adopt a completely different HR function in terms of sizes of teams, structure, HR vision and culture. When you have worked in a mix of industry sectors, for example, Financial Services, Manufacturing and public sector you might find the corporate/professional sector may be more suited to you. Once you are in the sector that is suited to you, you will find that you should naturally be able to progress. No matter what industry you are working in, always have a commercial mindset and be aware of the value that you are adding as an HR professional. The HR function has transformed significantly over the last thirty years and HR teams now need to be able to know how they are adding value and contributing to overall business profit. Can you contribute to reducing absence levels? Can you make an impact on employee engagement levels? Can you reduce staff attrition levels? Can you effectively succession plan for the business? These are all important questions that should be continuously reminding yourself of. My advice to HR candidates at the early stage in their career is not to specialise too soon. You could potentially pigeon-hole yourself into one specific area and limit your career options at a later stage. Many HR professionals, however, do specialise later in their career into reward, L&D and HR Systems. As a generalist, it is good to still have some sort of specialism in your skillset in order to open up additional options. For example, you could be a HR generalist with a strong analytical slant or a HR generalist who is an absence management or TUPE specialist. Generalist HR is so varied that you will naturally become stronger is some areas depending on the sector you work in. Stepping out of HR for a short time to learn about other areas of the business will help you gain in-depth knowledge about the business and the industry you are in. It will only add value you when you return to the HR function and have to make decisions that influence the people and the business. If you are open to a conversation about your HR career, I’d love to discuss available vacancies with you. Click here to see my details and get in touch.